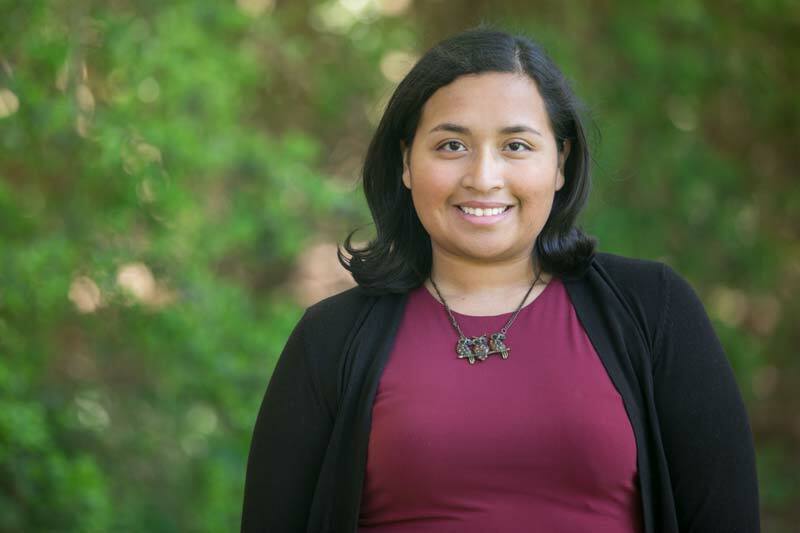 As one of the youngest in the Wings program and a first-generation college student, psychology major Donna Bahena, ’18, has learned to appreciate her background and use her experiences as a stepping stone for success. Since moving to Raleigh, N.C., from Acapulco, Mexico, at the age of seven, Donna has spent the last 18 years of her life learning to adapt to different cultures and to use that experience in a positive way. The challenges of moving to a new country and learning a second language have inspired Donna to help others in a similar situation. And those experiences have influenced her career choice. As an aspiring elementary ESL teacher, Donna was accepted into Meredith’s Early Master of Arts in Teaching (MAT) program, which allows undergraduate students who are interested in pursuing a career in teaching the opportunity to take graduate level courses in their field of interest as a senior. In preparation for her future, Donna took on two internships. She interned with Neighbor to Neighbor, an ESL afterschool and mentorship program, where she worked with children, helped with interpreting, and was responsible for assigning tutors to students. She also interned as a student writer in the Meredith College marketing department, a perfect fit for her writing passion. As a Wings student, Donna has taken advantage of the opportunities available to her. She enjoyed getting to know other adults in the program and having the opportunity to be inspired and encouraged by them in her classes. Donna also liked the networking programs that were provided to them. The transfer student also found ways to get involved on campus. She served in Angeles Latinas and the Immigrant and Refugee Club. Donna is also a member of Psi Chi, the psychology honor society, and Sigma Tau Delta, the English honor society. As a psychology major and professional writing and presentation media minor, Donna feels well prepared for the future and plans to use the knowledge she gained from her time at Meredith in her classroom. The results of her thesis project, “Analyzing the function and use of hand gestures in adult ESL students,” will be key as she takes on her next journey of working with ESL learners. Along with being a teacher, Donna plans to use her love of writing and her professional writing minor by continuing to write in her spare time, possibly freelancing, as well as writing fiction and writing for herself. She would also like to try her hand at community theater, writing and performing. After graduation Donna will get a jump start on her teaching career as a teaching assistant at a local elementary school while she completes the Master of Arts in Teaching program at Meredith.